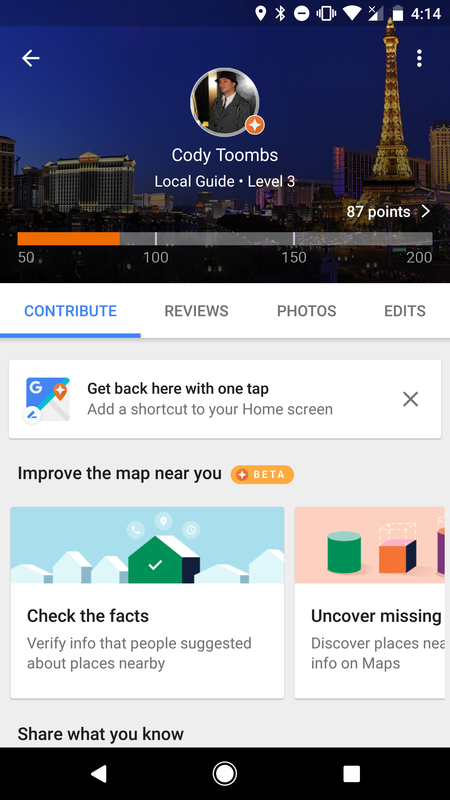 There's an update for Google Maps v9.43 rolling out to beta testers. This one isn't loaded with changes, but there are a few things worth checking out in this release. There have been a couple of changes to the notification options in the Settings screen and a new home screen shortcut is now available. A deeper look through a teardown reveals plans to display recommended dishes from the menu. There is also some follow-up to an odd teardown topic from a few weeks ago. 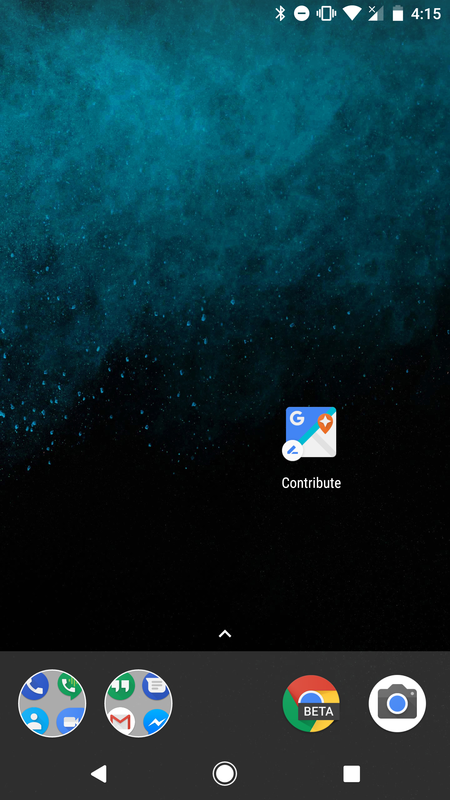 You might not be able to tell by looking at the widget list on your launcher, but Google Maps is packing quite a few home screen shortcuts, many of which can only be added if you stumble onto the right screens. The latest addition to the club is called Contribute, and as you might expect, it opens to the My contributions screen. That also happens to be the screen where the shortcut can be created. It can be added to the home screen using either a banner at the top of the Contribute tab or a new overflow menu at the top-right. 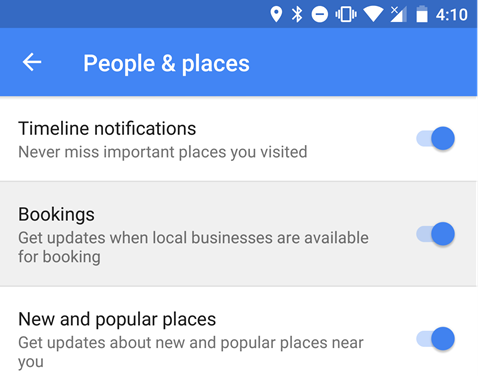 It's fairly common to see some changes to the notification options in Google Maps, and this version is no different. Drop in on the People & places section to find a new toggle titled Bookings. 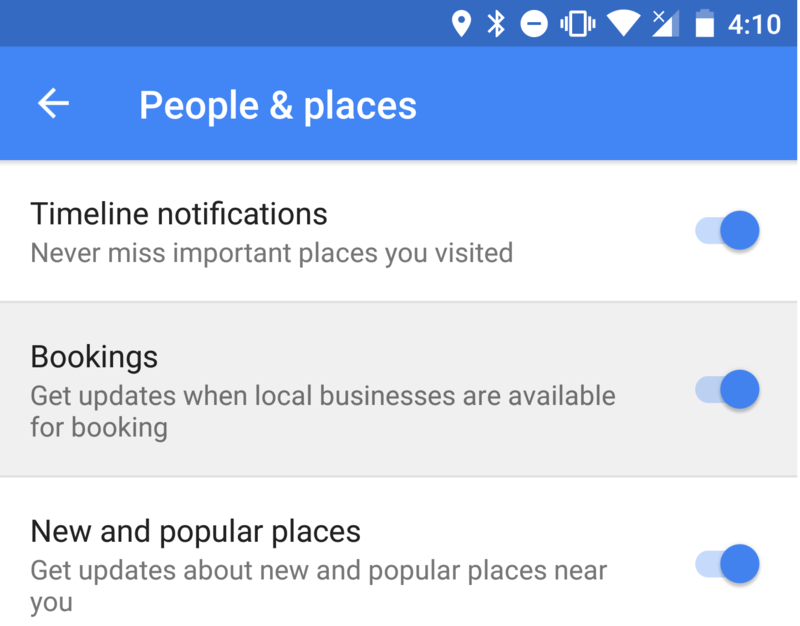 The description claims that this setting will give updates when local businesses are available for booking, which is a bit vague and even sounds potentially spammy. However, thanks to a little text from the teardown, it's clear that this setting relates to a new service called Reserve with Google. 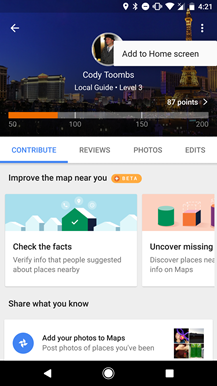 It will help people discover fitness studios and make bookings right through Google Maps (or Search). For now, this service is only available in Los Angeles, New York City, and the San Francisco Bay Area. Another change was made to the list of notification toggles, but this one is killing off an older option. The option to control notifications about "Adding your photos" has been removed. 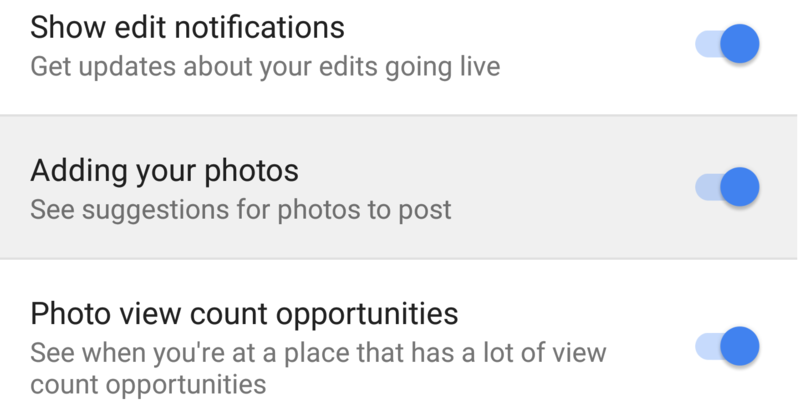 It's not clear if this setting has been rolled into another one or if those notifications simply don't happen anymore. We don't know why it's gone, but it's gone. Picking a good restaurant can be a challenge, but once you're in the door and seated with a menu, you're still faced with actually making an order from dozens, or even hundreds of items served by the establishment. Google Maps may have played a role in getting you to choose a place, so why shouldn't it also offer some helpful advice about what is good to eat? The Maps team is preparing to display recommendations for menu items. Here's the catch: the group of strings make it look like those recommendations will come from the restaurant itself, not other patrons. This isn't a bad thing since many restaurants will know their own best dishes; but in an app where user reviews, ratings, photos, and other contributions are so valuable, it's a bit of a missed opportunity to leave customers out of something like this. At the end of October, a teardown of the v9.40 Maps update came out with some text related to accounts and phone number verification. There weren't enough details to clearly determine what those strings really meant, but they were at least interesting. Almost as if somebody wanted to see those questions cleared up, some new text was added with this update that gives quite a bit more context. First is a line that has been updated to include new text, and it explains the situation very clearly. From the sound of it, this may be used for linking friends together, probably for the purposes of sharing locations, destinations, and other map-related pieces of information. 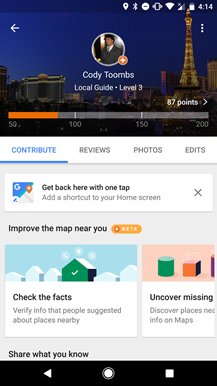 There are a few more strings that explain other possible uses for a phone number, but they look a bit more like generic capabilities like resetting passwords and giving personalized advertising – both of which sound relevant to Google accounts and not so much about Maps. There will likely be more to come on this subject, but for now the main takeaway is that the Maps team is working toward making connections with other users. In practical terms, there are probably quite a few things that can be done with that, so this may turn out to be a fairly small part of a larger feature, or it could simply be a straight-forward phone number verification users go through to make themselves easier to find.